Known for his Spanish-influenced instrumental music that he termed “nouveau flamenco,” Grammy-nominated guitarist Ottmar Liebert took a surprising direction on his 2015 “Waiting n Swan” album by delving into reggae. 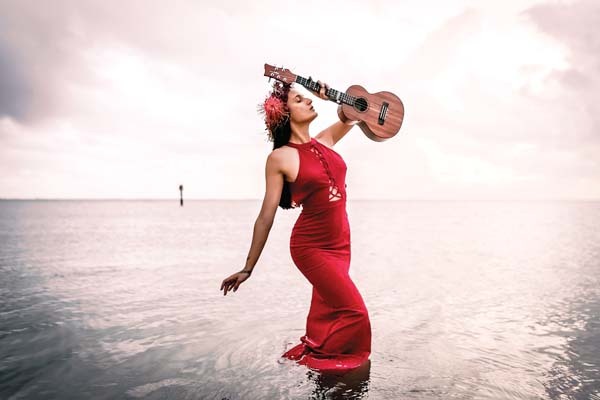 Taking its title from Bob Marley’s “Waiting in Vain,” and the Caribbean Creole phrase meaning “and so on,” the unusual album effectively mixed elements of tangos flamenco rhythms with reggae beats. 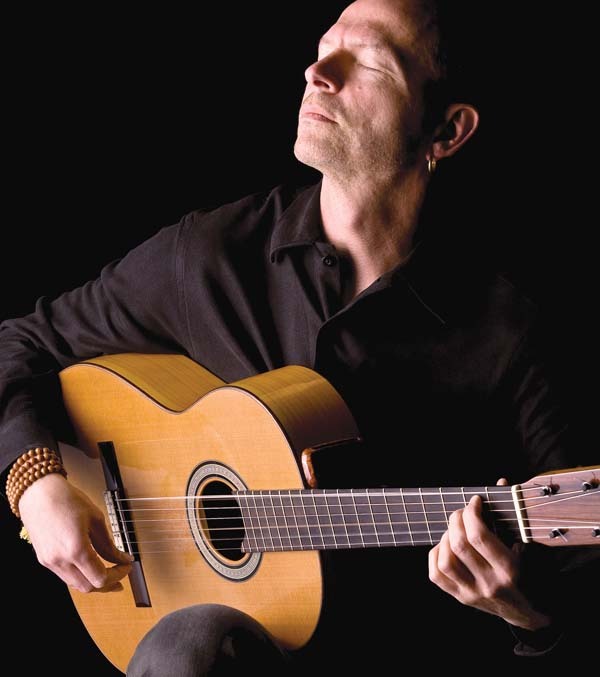 Classics like “Could You Be Loved,” “No Woman No Cry,” “Jamming,” and “Three Little Birds,” are all reworked by Liebert’s flamenco-oriented guitar style. There’s a historic foundation for the genre fusion, Liebert explains. A Grammy nominee for such albums as “Borrasca,” “The Hours Between Night + Day,” and “Opium,” Liebert takes a soothing solo path with his latest recording “slow.” Researching how a song’s tempo can change a listener’s heartbeat and blood pressure, he created the album as an antidote to the ubiquitous noise and distractions of our time. One of the tracks, “Elegy,” was composed as a tribute to Prince. 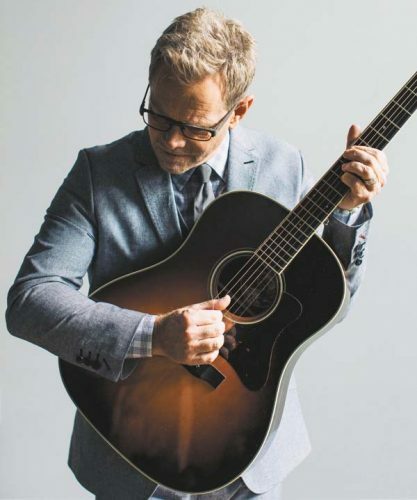 Born in what was West Germany, he began playing classical guitar at age 11, and studying flamenco guitar at age 14 after he found a flamenco album in the bargain bin at a local supermarket. After some time living and playing rock in Boston, in 1986 Liebert settled in Santa Fe, N.M., where he began looking to create a new musical sound. “Coming to Santa Fe I wanted to concentrate on nylon-string guitar and I started taking lessons from a flamenco guitar player,” he recalls. Citing musical influences such as Carlos Santana, Paco de Lucia, and John McLaughlin, he founded the first incarnation of his band Luna Negra (Black Moon) three years later. His debut recording, “Nouveau Flamenco,” eventually sold double-platinum in the U.S., and became one of the biggest selling instrumental guitar records ever. There was a time when it seemed like the opening track from the album, “Barcelona Nights,” could be heard playing everywhere. Fusing influences from jazz, classical, pop and Latin music, he continued to sell millions of albums including “Borrasca” (1991), “Solo Para Ti” (1992) and The “Hours Between Night + Day” (1993), which all sold gold. Liebert’s international success continued with “!Viva!” (1995) and “Opium” (1996), both of which earned platinum in the U.S. and Latin America. In 2006 Liebert became an ordained Zen Buddhist monk. 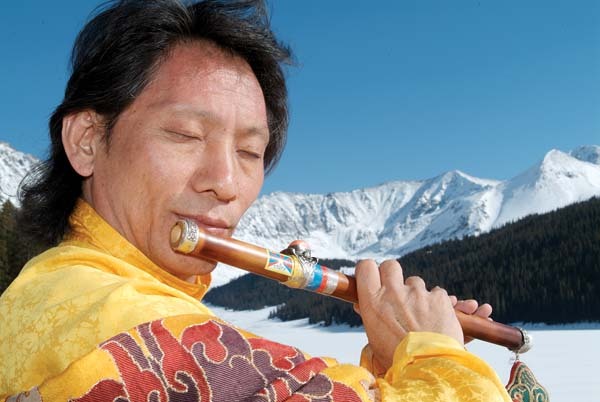 The practice has helped him navigate the travails of being a contemporary musician. For his Maui debut the acclaimed guitarist will perform as a trio with Luna Negra featuring Jon Gagan on electric bass and Chris Steele on drums and percussion. The Maui Chamber Orchestra and Chorus will close its 2016-17 season with a grand finale concert at 3 p.m. on Sunday at the MACC’s Castle Theater. Entitled “French Impressions,” the concert will feature the works of the impressionist composers Maurice Ravel and Claude Debussy along with some works by the late 19th century romantic composer Gabriel Faure. The program will present some of their most well-known works in unusual performances, including Faure’s “Pavane,” which will be presented in the seldom-heard choral version. The final work in the first half of the concert will be Ravel’s “Ma Mere l’Oye Suite.” The work consists of five movements: “Pavane of Sleeping Beauty,” “Tom Thumb,” “Empress of the Pagoda,” “Beauty and the Beast” and the “Fairy’s Garden.” True to the impressionist-tone-poem style of the work, it is dominated by woodwinds and strings, with very little brass. Based on a traditional Spanish court dance, Faure’s sublime “Pavane” is his most popular work. One of the most ethereal “Requiems,” Faure’s work features a tenor section throughout. 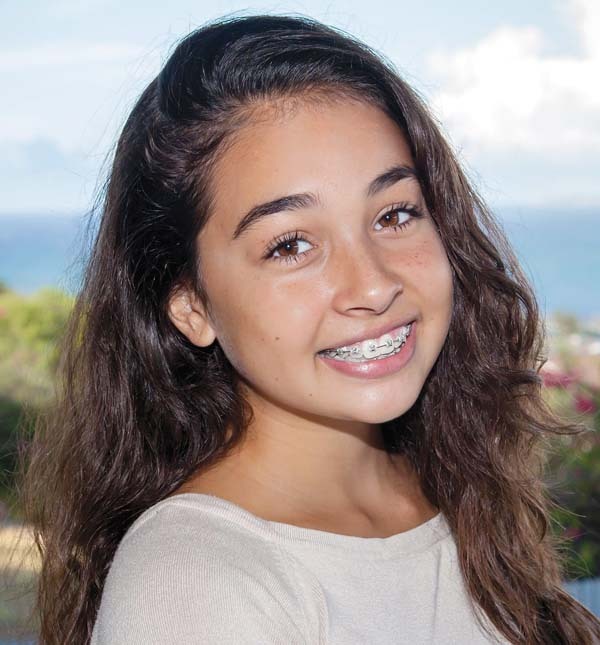 The “Pie Jesu” part will be sung by King Kekaulike High School student Puakenikeni Kepler, whose grandfather, Dr. William Kepler, is a tenor in the MCO Chorus. Will Kimball will sing the baritone solo “Libera Me” and the Hostias section of the “Offertory” movement. * The Maui Chamber Orchestra’s “French Impressions” concert is presented at 3 p.m. on Sunday at the MACC’s Castle Theater. Maestro Robert E. Wills will host “Conversations with the Conductor” at 1:30 p.m. Tickets are $20, $30, $45, and $60 (plus applicable fees). For tickets or more information, call 242-7469, visit the box office or www.mauiarts.org. 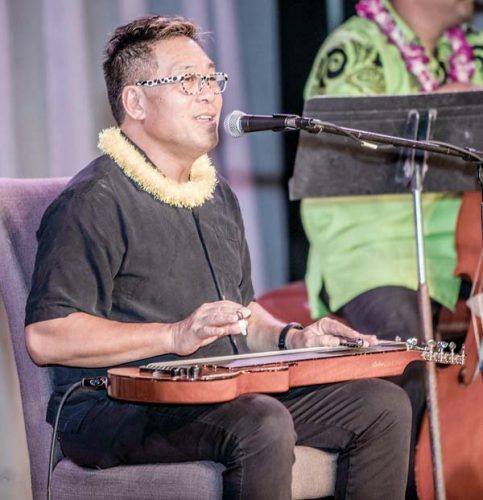 The annual Maui Jazz & Blues Festival will be presented at Four Seasons Resort Maui at Wailea with a concert on the oceanfront lawn on Sept. 8. 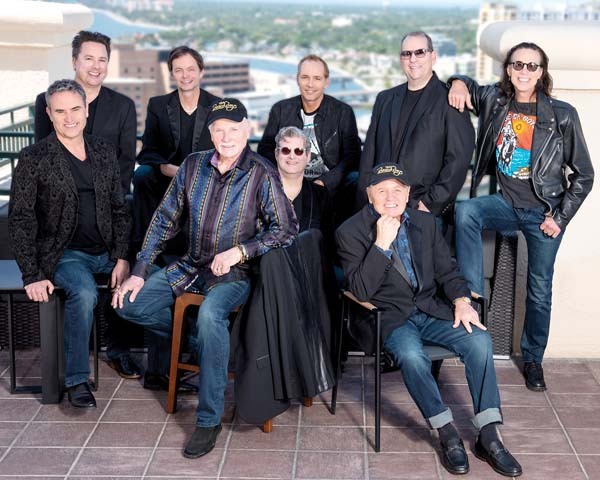 The terrific lineup includes saxphonist Bobby Watson, the former musical director of Art Blakey’s Jazz Messengers; acclaimed blues musician Jimmy D. Lane, the son of blues legend Jimmy Rogers, who has played with Eric Clapton, Mick Jagger, B.B. 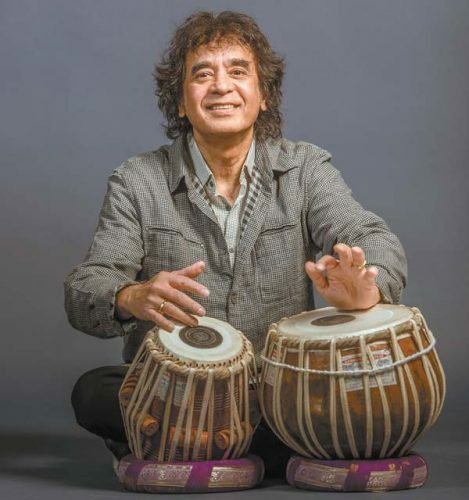 King and Van Morrison; and jazz-fusion guitarist Fareed Haque, whose credits include playing with keyboard virtuoso Joe Zawinul, Sting, and tabla great Zakir Hussain. Also on the bill will be Louisiana-based “King of Cajun” accordionist Jo-El Sonnier, and saxophonist Javon Jackson. * Tickets are $150, which includes gourmet Jazzfest cuisine, and are available at www.mauijazzandbluesfestival. com. The co-founder of The Roots, the house band for “The Tonight Show Starring Jimmy Fallon,” some of his high-profile gigs have included packing dance floors and parties for Prince, Oprah Winfrey, Janet Jackson and Justin Timberlake. * Tickets are $35 and are available at QuestloveMaui17. Eventbrite.com.